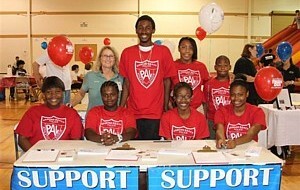 Support the PAL Youth Fund and your Local Chapters! Click for a fast, secure way to donate to the State of Florida Police Athletic League! 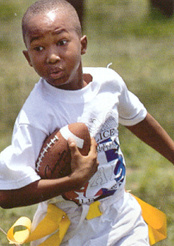 The Police Athletic League, founded in 1914 in New York City, is a non-profit juvenile delinquency prevention organization that provides athletic and academic activities to Florida's youth. These programs, administered by sworn Law Enforcement Officers, bridge the gap between the Police Officer and the youth as well as the Police Department and the Community. Without programs of this type, thousands of children would have no structured character-building activities to keep them off the streets and on the road to success. Proceeds from the sale of the new plate will fund the new SFAPAL Scholarship Award and numerous PAL programs which not only encourage team work through athletic activities and events but academic achievement from after school programs, summer camps, and the annual youth conference. These programs are designed to enrich the lives of young people in our state. Your support can make a difference in the future of Florida's youth. For over 25 years, Florida PAL has been at the front lines preventing juvenile delinquency with over 55 chapters statewide. It has been said that it takes an entire village to raise a child and that positive role models are needed. In the State of Florida you can be that positive role model by purchasing a PAL tag for your vehicle. BE A PAL; show your support. Whenever you are driving with our specialty tag on your car you are sending out a message. The message is one of concern for the social and academic development of Florida's youth. And like the thousands of police officers and volunteers working daily to provide alternatives for Florida's youth, you too can make a commitment that everyone can see and be reminded of on a daily basis by purchasing the Police Athletic League Specialty Tag. What's so special about this specialty tag... it saves money, prevents crime, and saves lives. For just $22.00 (plus normal tag fee) you can help send a PAL kid to college, fund existing PAL programs, and help insure that Florida's youth are "Filling Playgrounds Not Prisons."